Compatible with XQD memory cards, the next generation in storage media with a data transfer rate of 125/MB per second. 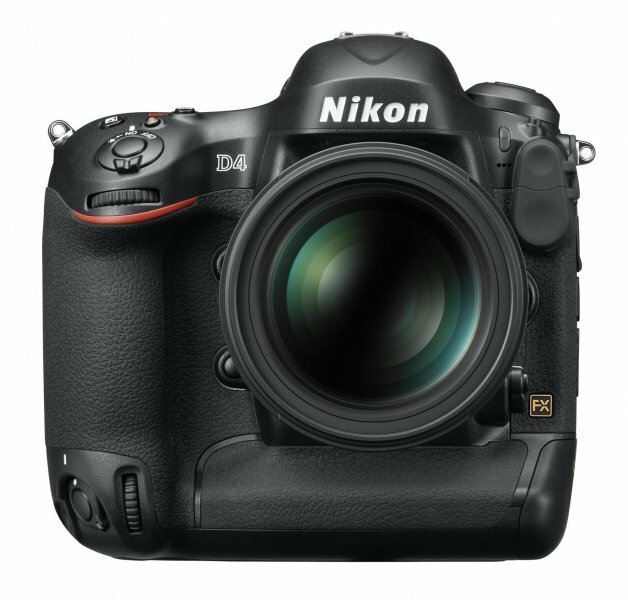 The flagship D4 is Nikon’s top-of-the-line DSLR for professional photographers looking to shoot sports, action and anything else under the sun. 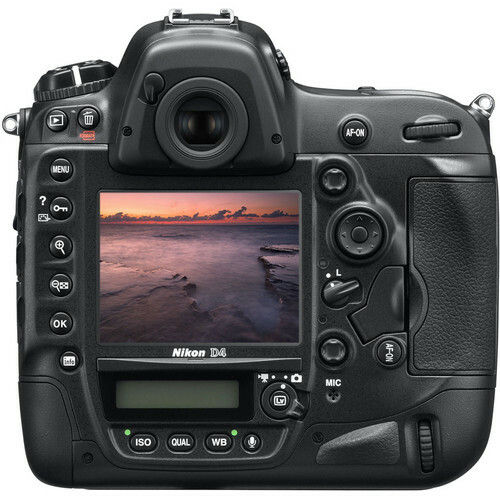 The D4’s 51-point auto-focusing system is the key to superior sharp photos in most lighting conditions. The central 15 AF points performs as cross-type for lenses equal or faster than f/5.6. For any other lenses slower than f/5.6 but faster than f/8 15 AF points are available with the central 9 working as cross-type. For lenses slower than f/8 only the central horizontal line with one point each on other side of the central point on the vertical line is available. The central point serves as the only cross type AF point. The Advanced Multi-CAM 3500FX auto-focus sensor module is at the heart of the blazingly fast auto-focusing system. Together with the 51 AF points the D4 can auto-focus with pin-point accuracy even in the most dimly lit conditions. 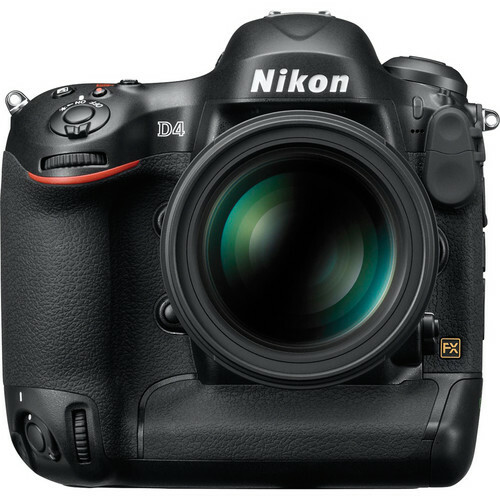 The D4 has a continuous shooting speed of 11 fps with locked focus and exposure on. However with metering and AE/AF on for each frame the D4 still churns out a fantastic 10 fps in full resolution. 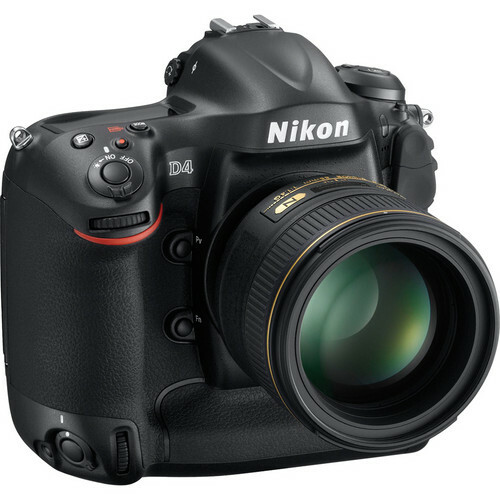 The D4 shoots FX format large JPEGs at 4,928 × 3,280 pixels. 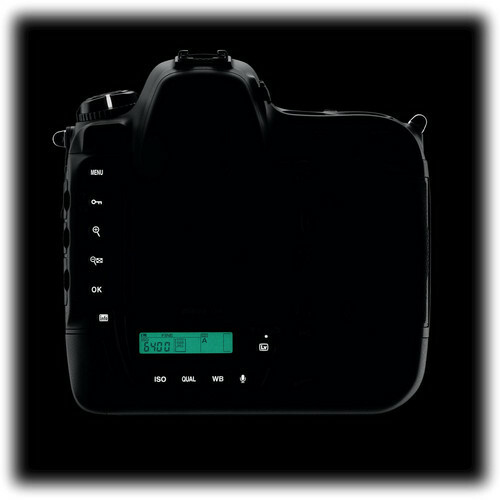 It can shoot RAW (NEF) in 12 or 14 bits and simultaneously shoot NEF+JPEG. It also shoots full HD videos at 30 and 24 fps. In 720p HD it shoots videos in 30 and 60 fps. Video format recorded are in .mov files and either of H.264 or MPEG4 compression system is used. Although the built-in mic is monaural there are options to plug in an external stereo mic jack via the 3.5mm plug. 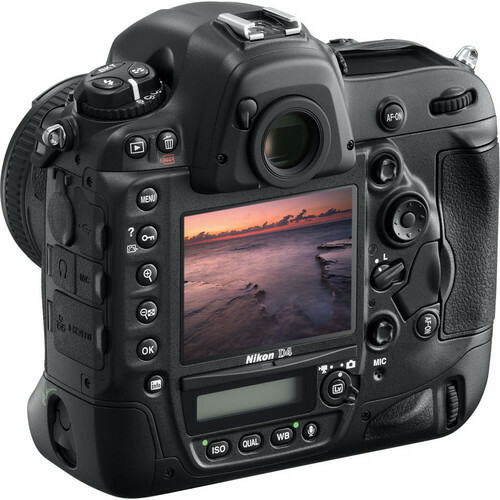 There is also a 24–36,000x time-lapse mode for shooting time lapse photography. The eye-level pentaprism viewfinder has a field of view coverage of 100% and a magnification of 0.7x. On DX format setting the viewfinder has a approx 97% coverage. The eyepoint is 18mm. The D4 boasts a 3.2” LCD TFT monitor with 921,000 dots resolution. Even in bright sunshine the ambient brightness sensor ensures that the images displayed & reviewed are sharp and easy to view. It allows up to 46x enlargements for reviewing pictures shot at the highest resolution. The monitor has a wide 170˚ viewing angle. The D4 comes with dual card slots. One of them is for the standard CF card compatible with UDMA 7 and the other one is for a XQD card. the two cards can be used to either record the same images / data, or used as a complimentary with each other like recording in one when the other is full, or record RAW in one and the JPEG in the other etc. 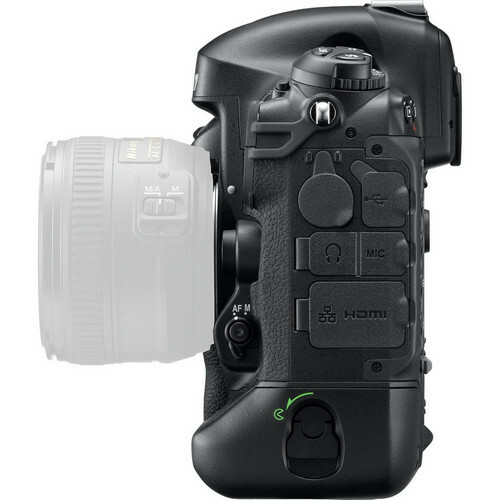 The D4 comes with both a viewfinder (1degree increments) and a LCD monitor (5 ˚ increments) based dual-axis virtual horizon detection function that operates to let the photographer know whether he is perfectly level side to side and front to back. 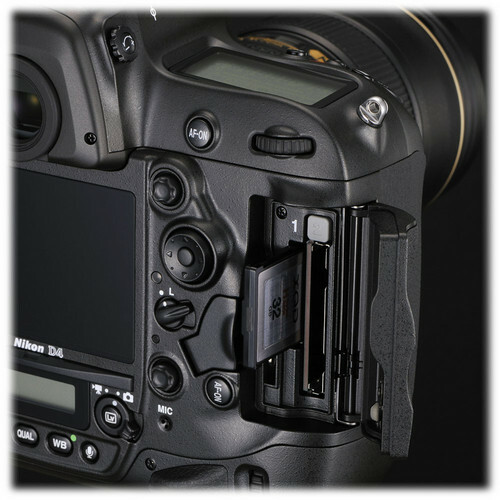 This is ideally suitable for professional photographers. The D4 comes with a Ethernet port for transferring of images to a computer or central ftp server via a RJ45 jack. There is also a 3.5mm jack terminal for plugging an external stereo mic jack. There is also a terminal for plugging a wireless transmitter WT-5A/B/C/D. the camera is also compliant with an optional remote control, GPS Unit GP-1. 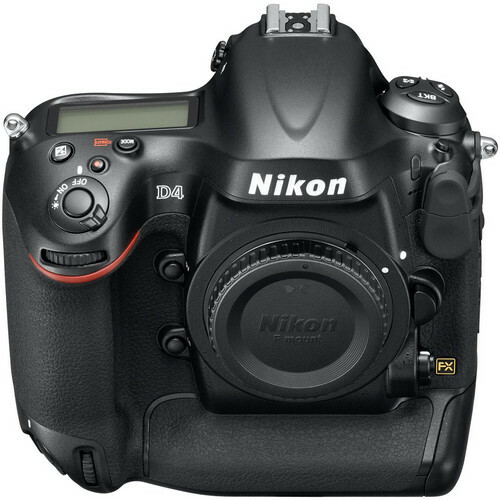 Launched in early 2012, the D4 is the new flagship for FX format Nikon DSLRs. 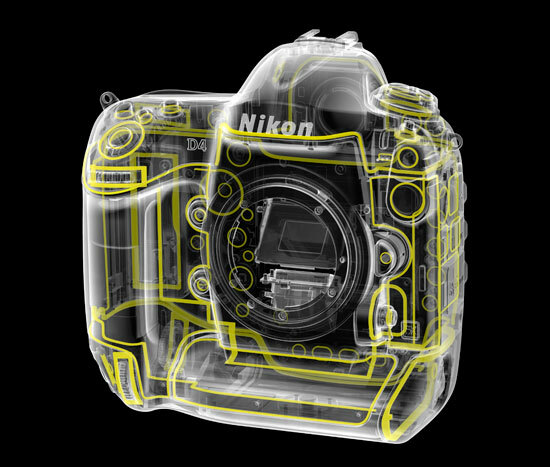 The engineers at Nikon have packed in almost every tiny improvement over the last few years. The ergonomics of the camera are pretty much the similar as well as the general feel in the hands; however some buttons and dials have switched places such as the new video recording button has taken the place where the old mode dial used to be. The advanced mode dial has not been improved. These are some bits of examples where Nikon could have improved the camera. However they have also done some good changes like the new function button. The fact that it can be separately programmed is wonderful. 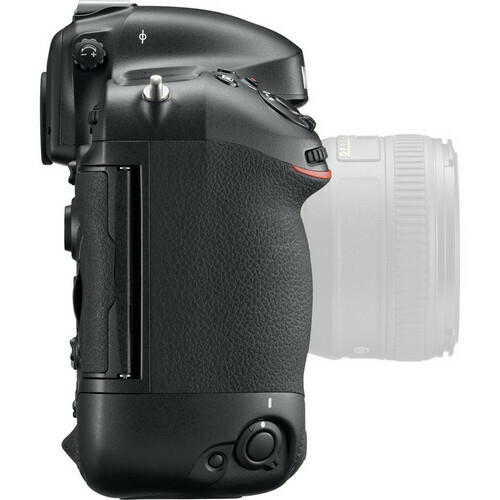 The older D3X and the rival Canon 1DX are two cameras that can be looked into. In fact, if you are not married to nikon with superior specs & better performance the Canon EOS 1DX is a clear winner. 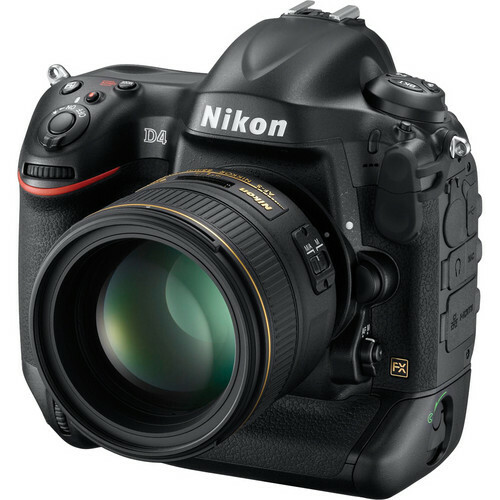 At $6000 the D4 is certainly the best Nikon that your money can buy if you are a Nikon Shooter. This is a tool that is best used by the hands by a professional who knows what he is doing and can bring out the best in it. In the hands of an amateur who don’t know how to shoot, don’t expect that if you spend an insane amount of money you can start to shoot like a pro. So if you’re a pro and you absolutely need this beast, go right ahead and buy it. 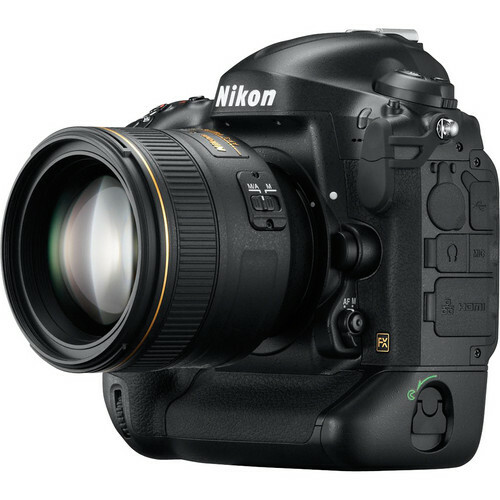 If not, then try looking at something like the D600, which is the smallest Nikon full frame DSLR retailing at around $2000 as the better choice.